I know, this post is waaaaay overdue but nonetheless, I still want to write about one of my most favorite places here in the Philippines. I’m not really a big fan of surfing or any other water sports (Yes, San Juan, La Union is well-known for its insane waves and it’s very popular to surfers aaaaaaand no, I don’t surf haha!). 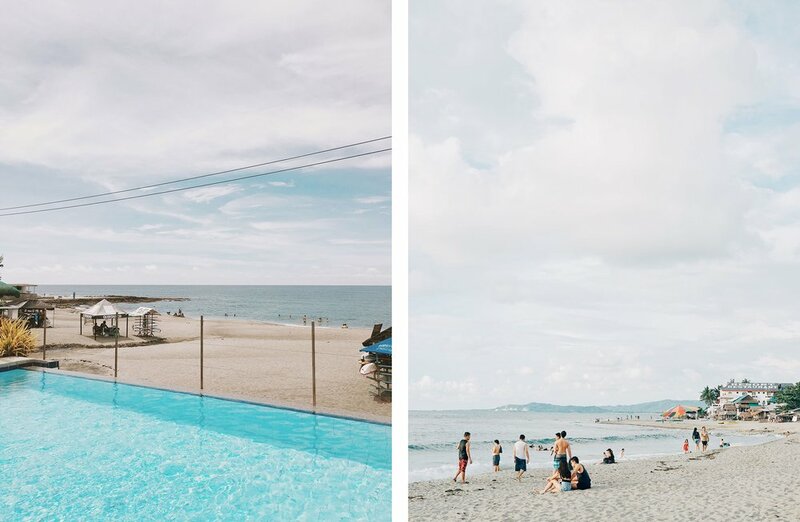 Due to its amazing view of the sunset and cozy ambiance, i’ve truly fallen in love with San Juan, La Union. I was pretty content just watching the surfers haha! It was just a weekend getaway but I was really thankful for this trip because I needed a breather from all the stress. Sunsets in San Juan are just so beautiful. Too bad the clouds had blocked our view of the sunset but the clouds were pretty too so it wasn’t too bad.